There is something going on..but think flowers....think good. Go to prima flowers blog and find out what! Hey all! How you all have been? Well I am trying to keep my groove going and keep the card coming! I felt so inspired by so many beautiful cards that were submitted to the Magazine Cards (at Caardvacks blog)...that I decided to get my little bride in that beautiful pantheon of great cards. Oh how I enjoy to working with little tiny pearls and making tiny hand drawn details. The flowers and the bow were hand made and put together, so as the little glass beads details. I just love the challenges that are being put out there, it is sort of little Olympics for us papercrafters..(yeah I am an Olympic fan!). I am in for the beautiful and interesting challenges challenges, and may the cutest card win the gold! Well, being publish at an amazing magazine...that is quite the same, right? Well we cannot put a wedding card without singing "Here comes the bride..."
¤ Markers & Pens: cOPIC MARKERS EOO,E11, E25, E33, E37, E53, Y 15, W1, W5, R000, R11, R29, R23, R53, YG 00, YG 03, YG 41, mULTILINERS, WHITE SIGNO PEN. ¤ Ink & stamps: nO INK OR STAMPS. 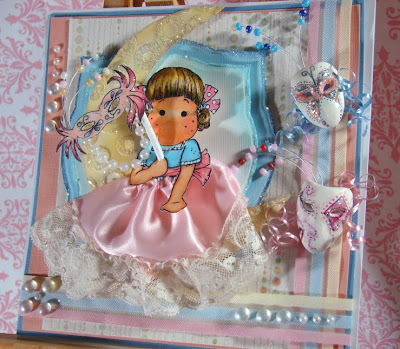 ¤ Embellishments: RIBBON, ROBBIN'S NESY, 1/2 PEARLS, PERAL STRING, GLASS BEADS, GLITTER. ¤ Embossing & Die cuts: SWISS DOTS EMBOSSING FOLDER, SIHOUETTE CUT (samantha walker). ¤ Paper: nENNAH PAPER, CARDSTOCK AND dcWV LUXURY STACK. ¤ Tools: SIZZIX BIG KICK, SILHOUETTE. Hellooooo dear friends! Open the streets because the magnolia fans came to party! It is Carnaval at Magnolia stamp lovers! I am honored to be hosting Challenge #4, and to celebrate I choose Carnaval as a theme! So bring the bling, the pearls and the beads because it is time to have fun fun fun! Carnaval just started down in Rio and Mardi Gras in New Orleans will be sweet (for the lovely people of Louisiana and Saints fans! )...ah and who can forget the happy and colorful streets of Venice! ¤ Markers & Pens: Copic b000, b00, b02, b32, b60, bg07, bg47, e00,e11,e35, e95, r00,r11,r20,y15,y17,y28,yg15, N3,(o). Copic multilines, Prisma liners, White signo marker. ¤ Embellishments: Glass beads, robbin's nest, 1/2 pearls, sting pearls, rhinestones, glitter, ribbon, lace, handmade embelishments. ¤ Embossing & Die cuts: Spot and dots embosing folder CB, nestabilities labels 3. ¤ Tools: sizziz big kick, carving tools. Let's celebrate! 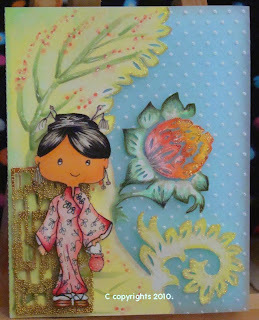 It is Chinese New Year~ Since I started making cards I am following all the holidays :) . This is the year of the Tiger! Let me say Chinese New year celebrations are so pretty. So many bright and beautiful colors! It is hard to resist this beautiful celebration without a card. 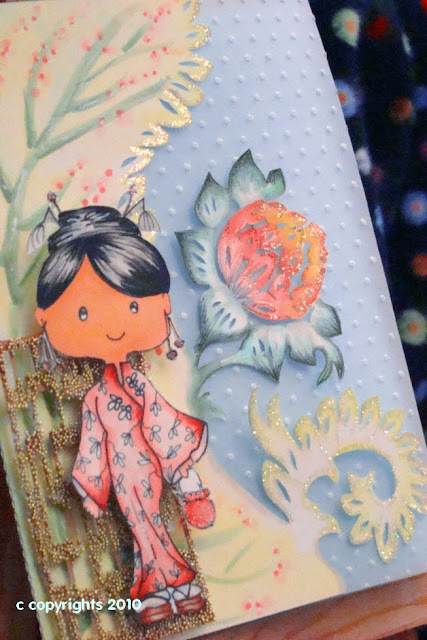 In this card I colored one of my designs...some of the detail are all done by hand. I hope the colorful creation will bring a little cheer to your day...Boy do we need a cheer! 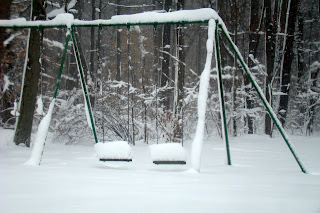 We officially had the snowiest season ever! It is simply spectacular outside..beautiful. It is amazing how nature can give a show every season! I just wished that would not stop me to get some General Tsao dish ; )....because I am just as hungry as a tiger! Grrrr. What is your favorite chinese dish...drop a note and tell me! This week's Challenge (#3) at Magnolia Stamp Lovers our dear Cindy2 came up with a super nice theme. Bows or buttons or both! How cool is that?! We always put a little bow somewhere....isn't that true? : ). So join us for this super friendly challenge! You can win a Magnolia stamp plus a scent your card! I have scent your card...and I love it. I use to scent my room..it is so delicious...my craft area is a little messy but smell wonders. Oh yeah...Valentine's day is just around the corner! February has been a remarkable month...and love is definitely in the air! Don't forget to get your supplies with Cindy at stampingscrapping! You still have time for valentine's day!!! Hi there! One more Maggie card coming here from my igloo! Nah, just kidding. I did have to dig 2 ft + of snow out of my door..for the sake of my pooch and any eventual emergency in the household ; ). Hey, I was a girl scout. Always prepared! Now I have been working on this new card for a couple days...things came together little by little. I was fully inspired by my birthday. Memorable in so many ways (you will see what I mean soon). The perfect excuse to make a happy came when I saw that Copic Creations challenge had feather blending as a challenge theme...I though it was a good time to learn a tech and also use some crazy bright colors....and my dear Maggie stamp was a perfect match for my revised hippie style! For now, peace out! Keep warm! Come back for more because I am in the groove! ¤ Embellishments: ribbon, pearls, glitter, the robbin's nest. 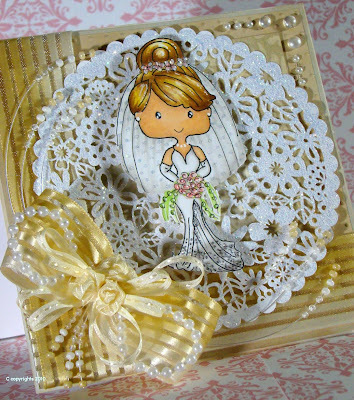 ¤ Embossing & Die cuts: embossing folder CB swiss dots, embossing folder sizzix dots and flowers. nestabilities, electronic die cutter. ¤ Paper: Recollections Cardstock & DCWv. ¤ Tools: Sizzix big kick & silhouette. Snow?What snow? 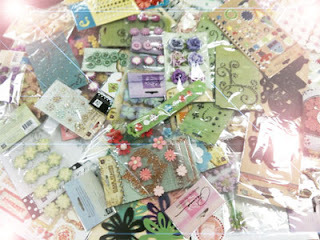 :: Card making marathon! Out :: Rockin' my birthday! I am out and about rocking today to celebrate my birthday. What an incredible day has been. Thanks everyone that sent me bday wishes! Luv' you all! Tune in...February is going to be a PARTY~.